When BMW launched the i3 in 2013, it made sure to ease buyers’ range anxiety by offering it with an optional range extender (REx). If the batteries ran out of juice, the range extender would kick in and provide additional energy to the drive unit. Fast forward to 2018 and the range extender version has been dropped. The reason behind the decision is simple. 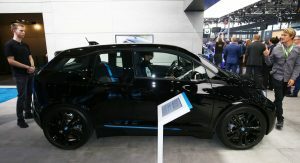 The BMW i3 debuted a new battery pack at the Paris Auto Show that enables a driving range of 193 miles (310 km) under the more realistic WLTP cycle. 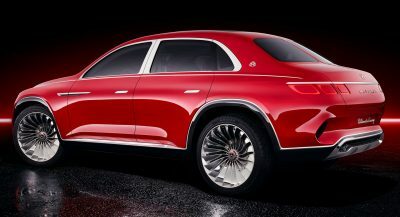 The new 42.2kWh battery offers 34 miles (55 km) more range than the old 33kWh unit, and BMW believes that’s enough to render the range extender useless. 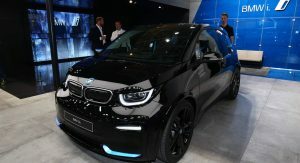 “The Range Extender i3 will cease production and we will only sell the pure-electric version going forward,” BMW said in a statement quoted by Autocar. The automaker also motivated the decision with the increasing availability of rapid charging facilities. 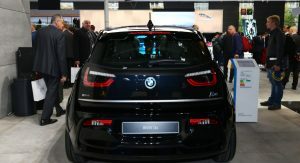 The BMW i3 REx, which used a 650-cc two-cylinder gasoline engine, offered a claimed driving range of 231 miles (371 km) under the less realistic NEDC cycle. 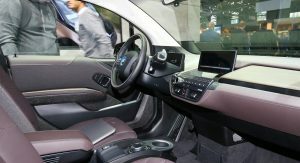 Dropping the range extender version might be a bold decision to make as the i3 REx accounted for approximately 60 percent of total i3 sales, despite a carrying a hefty premium over the base model. 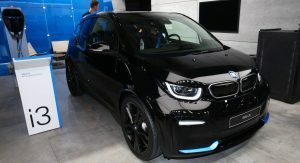 There are now only two remaining variants in the 2019 BMW i3 lineup, the standard i3, and the sporty-flavored i3S (pictured). 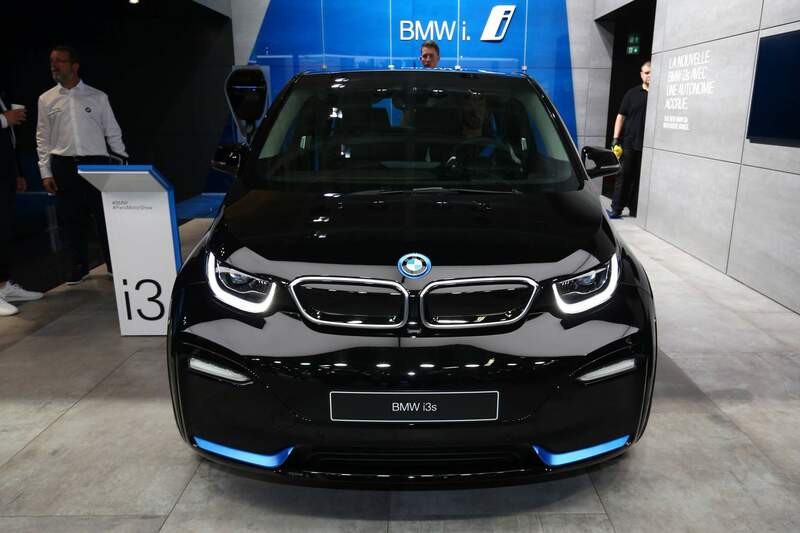 That’s a shame, I’m a fan of i3 and the range extender version is brilliant. I’m willing to hedge a bet that the range isn’t quite as sweet as they say. I use my Range Extender quite often, the juice in the electric battery goes pretty quickly under driving freeway conditions. I would of preferred the bigger battery plus a range extender. Probably on freeways the range extender works better, but I’m willing to bet that in the city you will get more range out of the new version without the engine. It’s the same, this is the problem with quoting NEDC numbers. Under WLTP cycle they both have similar range. NEDC is a joke and should be forgotten. No, the 371km is total. You cannot drive 371km from 9 liters of petrol… 🙂 And the 371km was under NEDC driving cycle, which is a joke. Good point but I had to agree with assassingtr, I had quite of range anxiety and having range extender is really assuring to me. I guess people need time before they can transfer to full electriv. Do you have a better naming convention for the “Sport” edition then? 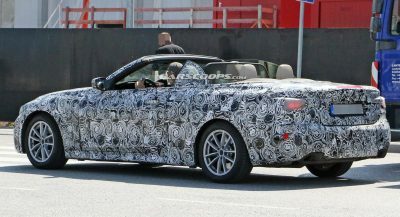 That’s very odd as BMW shows both sport and regular variants available as a Rex on the North American site. 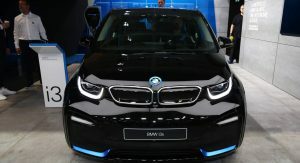 So the geniuses at BMW came together and said: how do we sell more i3’s. Stop making what is selling 60% of the time. The REx was always meant as a stop gap until the range/charging infrastructure was there to remove the REx. 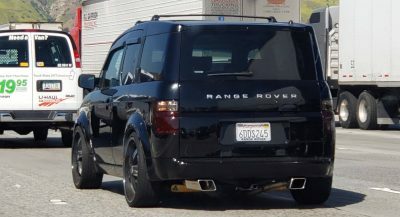 Now, the argument could be made that the range or infrastructure isn’t there yet but the REx was never meant to be a permanent fixture in this car. Yes but it almost solved range anxity . As someone with a REX, I’m not worried if I forget to charge at night like my wife did last night or run out of battery . I would still not have bought my i3 without rex. 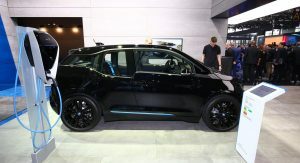 This means that the i3 won’t be sold anymore for places with poor infrastructure for EVs that were receiving the REx as the default model, unless the brand creates a specific version with the better battery an the range extender, which I don’t believe will happen. 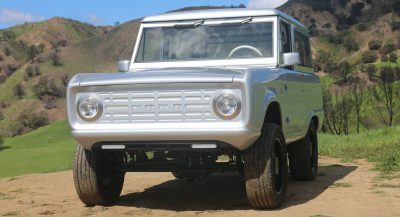 ABOUT TIME THEY BUILD A SOLID ELECTRIC VEHICLE, NO MORE EXCUSES. I used the range extender all the time. It made road trips easy as long as you coded the software to enable the rex to be activated any time. 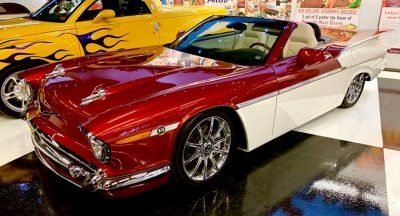 But frankly, the gas engine was the most problematic part of the car. I don’t get it. Why won’t BMW leave this option and let people decide, whether to buy car with range extender or not.